Get to see some of the awesome birds you only able to see in books or television. Boast as biggest bird park in Malaysia. Nothing impressive on the outside. Wait till you see what are waiting on the other side. It is a huge bird park ! My father is a bird lover so much. I guess there is some genes inherited from him. Unlike any other zoo I have visited in my life. It was my first visit to a zoo full of birds. I got so excited because it met my expectation and beyond. It not as cheap as other zoo due to the expensive bird food ? Hey, the maintenance of the zoo is not cheap though ! I was quite impressed that there was a restaurant serving local cuisine and a grocery store selling snack and drinks. A really good place for tourist. The weather was extremely scorching. The bird in the cage could get a wrong idea that it might be summer. Instead of sleeping like those mammals always do in other zoo, these Cockatoo are cuddling each other. This is a best zoo for couple ! There were not much visitors in Penang Bird Park at this weekday. These birds did not see me coming for a sneak zoom and candid. Kakatua or in English Cockatoo is one of well known bird in Malaysia. I believe there was a malay song about Cockatoo. 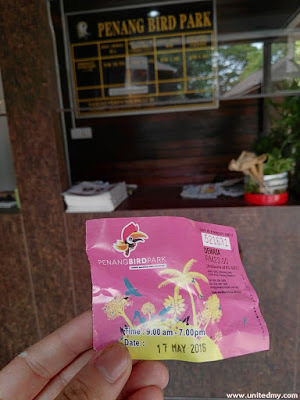 If you need a reason to visit Penang Bird Park, let it be "to see Cockatoo". I feel like they are funny and good-looking. Please tell me you can relate this to "Angry Bird"
Among the animal kingdom, Parrot is the real talker ! Ape can be intelligent and smart. But, parrot can speak accurately and that can get really scary sometimes. I was getting a heart attack when get the chance to see owl. I have seen owl in the dark with flashlight up on the tree. Never on daytime I thought they will not survive when hit by sunlight ? Did the staff grip it with a rope or something ? To be honest, there were few of them on the trees. Yet, it not even night. A group of owl waiting the night fall ! I swear to you this is not the same bird couple You have seen minutes ago. I see what you did there, The most obscene bird picture ever ! After the forehead kissing, they just move to other part where the beak located. They just cannot stop doing it ! Another species of Dove. There were like twenty of them in the same cage ! Some of the most photogenic bird ! Hmmm ?? !! When you have two gender same species in a cage. The bird that dwell on top of mountain. Strong feather that can fly on clouds, sharp eye and claw that enable him to catch it prey easily. With a cage, eagle is hardly to be seen because always hiding on the top. Besides, eagle is not meant to be contained required a really big and high cage. By the way, this eagle was not contained in a cage but on the wild with a string tied on its claw preventing from flying away. On the way to the lake, flamingo is not to be missed. That pair of pink and long slim leg ! There was a huge lake with a bridge and a gazebo in the middle of the lake. That is where duck dwells ! Ducks are so obsessed with water and sand. Destined to be not fly so high but a good swimmer ! I like to call them egret in fact, it could be a egret or a heron. Egret are mostly living in Asian countries. There was a section where visitor could go in to walk among the group of egrets. I was kind of afraid because there was like only me here and tons of egrets. Eventually, author of the blog did not enter the section. It was full of egrets and they were so tall and big one. I felt like my life is in danger ! They move slowly though, still, I will not dare to enter because I don know will they think me as their daily food ? I wonder why these egrets were living here. Egrets are high flyer and travel quite often. I have seen egret hiding in the tall grass in a raining day. Those egrets are living freely. Walk to a rather big cage where the horn bill located. 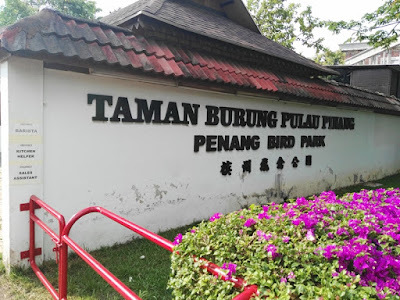 Most of the horn bill species in Malaysia are living in this zoo. This is none other than helmeted horn bill. You are lucky to spot one at this low because they fly really high and live in a forest where human barely visit. Horn bill is a shy creature ! Rhinoceros horn bill is quite spectacular. The South east Asian version of eagle. Great Horn bill does not look so scary but it really a big bird. With that horn and beak could easily intimidate enemy that it hold a massive destruction power. When a peacock sense a threat, they will spread its wing to show how big it can be to intimidate opponent. As in my case, the peacock opens its beautiful wing to show affection towards me. There were huge numbers of birds in Penang Bird Park. 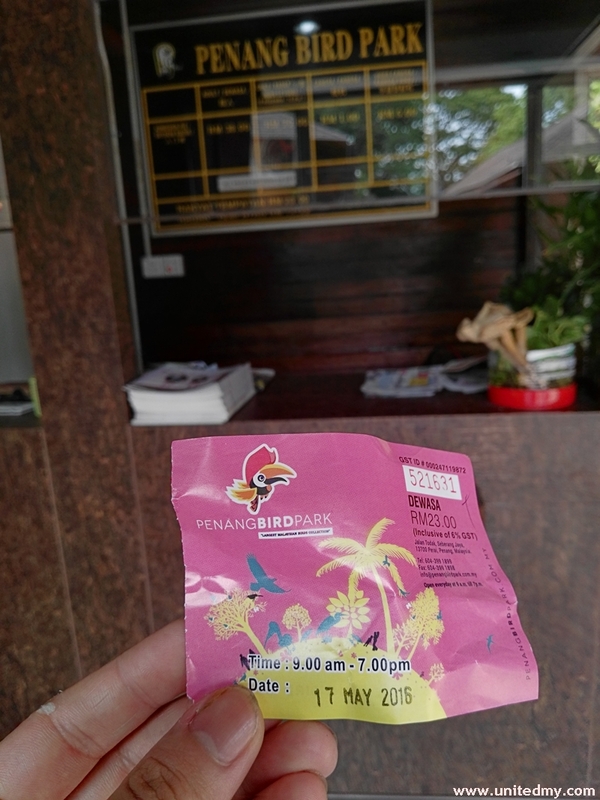 These 32 pictures of Penang Bird Park do not represents everything inside the enormous Penang Bird Park. To experience it by naked eye is always preferable choice. I have truly seen my favorite lifetime birds in a close proximity, when will you going to fulfill it ?